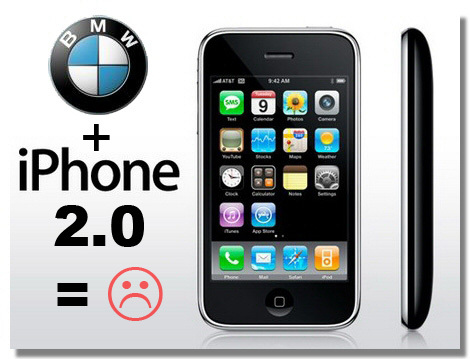 iPhone 2.0 update breaks BMW iDrive contact/address book syncing! UPDATE – *FIXED* – It appears we’ve found a fix that will get all your contacts showing up on the iDrive again. You simply need to add 2000 fake contacts to your iPhone. There are detailed instructions, vCard/CSV files available to download and step by step screen shots in a new post here – Fix for Fix for iPhone and BMW iDrive address book not synchronising. 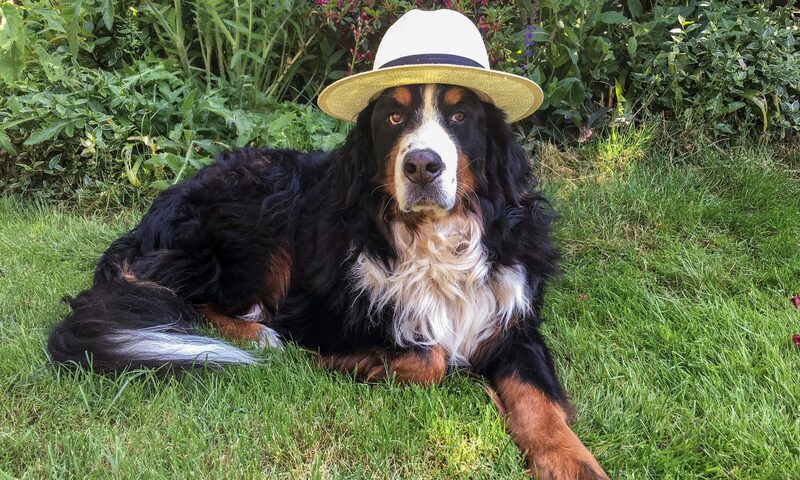 UPDATE (18th August 2008): There’s a FIX! Apple have just released iPhone 2.02 update and I’m currently downloading it. Hopeful that this update will finally fix all the iDrive address book issues, watch this space…..I’ve just got back from testing 2.02 with my iDrive and finally, it’s working again! 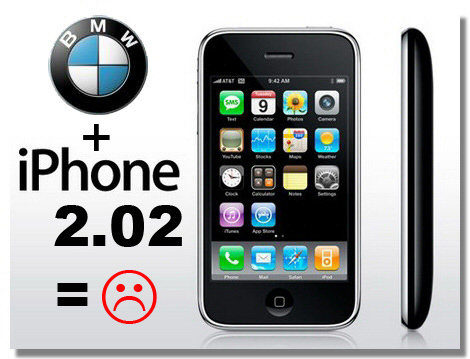 (iPhone 2.02 fixes BMW iDrive contact syncing)Sorry guys and girls, it looks like a was a little premature on this one. My contacts DID all show up on the iDrive screen and I scrolled through, jumped from A-N-W-etc and I came in to get the camera for a few shots for this article. When I went back out, my iPhone paired but after a long wait screen there were NO contacts shown! I removed both pairings, powered off the car and the iPhone and tried again but still nothing. I then updated my friends brand new 3G to 2.02 and tried syncing that (which has never been seen by the car before) and it paired but still no contact sync. With the immenent launch of Apple’s iPhone 3G a week today, I’ve been searching the internet high and low to find out whether or not it’s going to be compatible with and sync with BMW’s bluetooth and iDrive. I also need to know whether it will fit in the BMW snap-in adapter I have for the original iPhone or will I have to buy another cradle from BMW? BMW snap-in adapter: Looking at the profile of the new iPhone 3G with its more sculptured and curved back, coupled with the fact that many case manufacturers are launching new cases for the iPhone 3G lead me to believe that the iPhone 3G will not fit in the BMW snap-in adapater for the original iPhone and that BMW will bring out a new cradle for the iPhone 3G in a few months. But then part of me thinks that the iPhone 3G uses the same screen, iPod port, etc, is the same height and width and that it may fit in the snap-in cradle for the original iPhone albeit it a little loose and wobble. My final thoughts…I predict the iPhone 3G will fit in the original BMW snap-in adapter but it won’t lock down into place fully but will charge and connect to the external antenna. The iPhone 3G and original iPhones updated to iPhone 2.0 appear to not work properly with lots of manufacturers factory blueotooth kits. BMW, Mercedes, Jeep, Chrysler, Land Rover, and many more are all affected. The iPhone 3G *does* fit in the original BMW iPhone cradle….just! But it’s not a comfortable fit as the iPhone 3G is a few mm longer. Prolonged forced insertion into the cradle will badly scratch and damage the back and top edge of your iPhone 3G.